Let’s catch up. I’m sorry it’s been so longÂ since I last blogged here. Over the spring and summer, I’ve been training on my bike for different events, and just riding with friends for the fun of it. 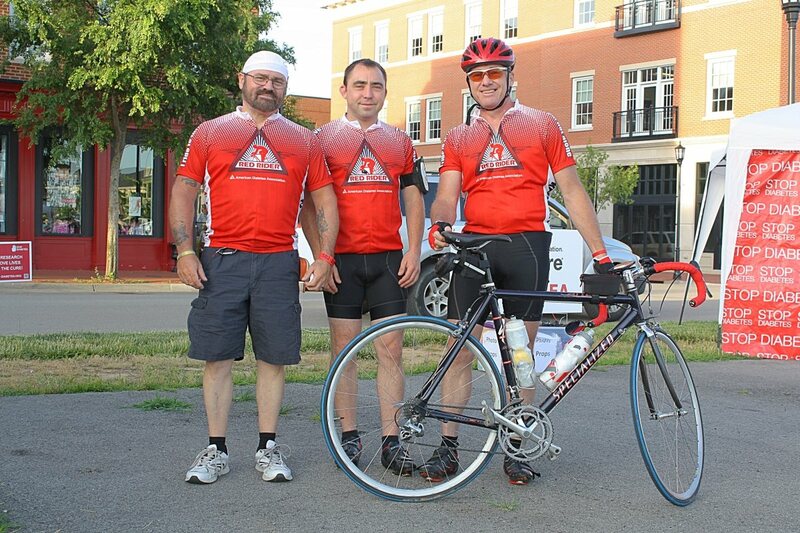 In June I rode with a bunch of fellow PWD (People with Diabetes) in the Kentucky Tour de Cure. I’m the Kentucky Red Rider Chairperson, so of course I’m passionate about this ride. Some of my regular riding buddies took off pretty early, but I could tell that a fellow T1Der (person with Type 1 Diabetes) was struggling a bit on the very hilly 63-mile route, so I stayed with him and pulled as much as I could, and the two of us enjoyed the ride and some good conversation together. Sometimes it’s not about the ride. For me . . . Relationships are more important than rides. People are more important than pace. Warm fellowship is more important than watts. OK, maybe I’m stretching the point a bit too much, but you get the idea. Sometimes we get overly obsessed with the event, whatever it is, and miss out on the most vital things in life. Average speed sure looks good on my Strava and Facebook pages, but who cares after a day or so of that? Tomorrow I’m going to take this idea a bit further. Click here to read it.. In the mean time, what do you think? Whether you ride bikes or anything else, what’s the point, in your view?